● Bowyer started seventh and finished third to earn eight bonus points. ● Told crew he liked the car except it was a little loose in the backstretch chicane. ● Posted the third-quickest lap on lap three. ● Moved to sixth by lap six, then drove from fifth to third on the lap-16 restart. ● Several cars pitted before the end of the stage then stayed out during the break for a better starting spot in Stage 2. ● Bowyer started 24th and finished fifth to earn six bonus points. ● Raced three-wide in traffic and on several restarts. ● Returned to the top-10 on lap 41. ● Told crew his car was starting to get loose in the final laps of the stage. ● Again, several cars pitted before the end of the stage then stayed out during the break for a better starting spot in the final stage. ● Bowyer started 24th and finished third. ● Slowly worked his way up through the field, suffering brushes with the wall and contact with other cars. ● Survived three- and four-wide restarts after full-course cautions on laps 58, 66 and 68. ● Moved to 15th by lap 80 and 13th by lap 89. ● Narrowly avoided a multicar wreck in turn one and moved to sixth in the aftermath. ● Race resumed with three laps left, and Bowyer moved to third after the two leaders crashed in the final corner. ● Bowyer was kept abreast, in the final laps, of his playoff status and knew he was safe to advance to the Round of 12. ● This was Bowyer’s eighth top-five and 14th top-10 finish of 2018. ● Bowyer earned his 11th top-five and 16th top-10 in 27 career road-course starts in the Monster Energy NASCAR Cup Series across Sonoma (Calif.) Raceway, Watkins Glen (N.Y.) International and the Charlotte (N.C.) Motor Speedway Roval. 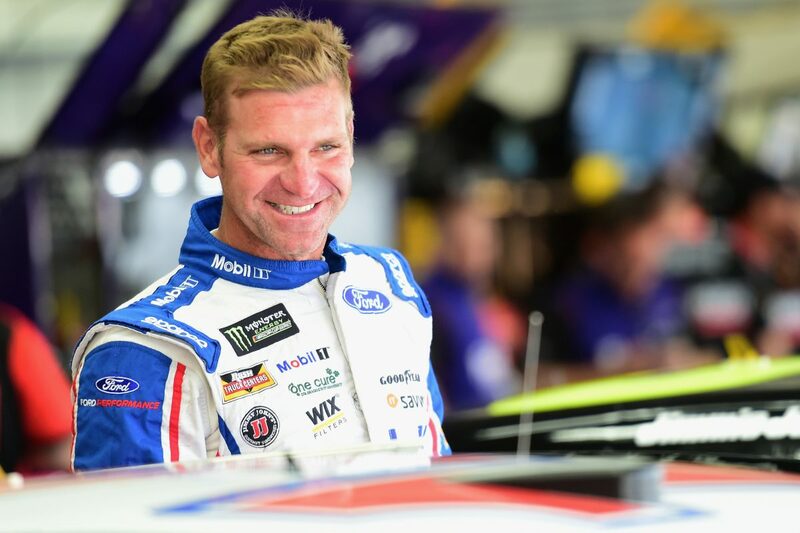 ● Bowyer captured his third top-five and sixth top-10 in 26 career Monster Energy NASCAR Cup Series starts at Charlotte (oval and road course). ● All four SHR drivers advanced to the Round of 12.